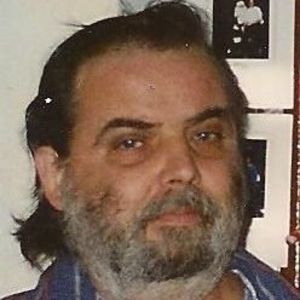 CLEATON - Leslie Eugene Burton, Sr., 62, of Cleaton, died Friday, February 17, 2012 at 11:50PM at Vanderbilt Medical Center in Nashville, Tennessee. Mr. Burton was born November 25, 1949. He was supervisor of the fuel department at O'Hare Airport in Chicago, Illinois. Survivors include his wife, Virginia Eggert Burton; sons Leslie Burton Jr. and Carl Burton; daughters Tammy Widing, Candis Clark, Hazel Reed, Rose Wines, and Samantha Brake; 21 grandchildren; brothers Frank Burton and Ralph Burton; and sister Martha Burton. Funeral services will be Tuesday, February 21, 2012 at 11:00AM at Tucker Funeral Home in Central City, with Bro. Floyd Steele officiating. Burial in Fairmount Cemetery. Visitation will be Tuesday after 9:00AM at the funeral home. Online condolences may be made at www.tuckerfuneralhomes.com. Create An Online Memorial For Leslie Eugene Burton, Sr. The beautiful and interactive Eternal Tribute tells Leslie's life story the way it deserves to be told in words, pictures and video. I met you when I was a baby, but lots of people loved you, wish I got to know you more. Another life that has ended way too soon. I would like to say that I'm sorry to His Wife, Children and Grandchildren. I know His Brother and Sister are also hurting, I do know one thing for sure....that my Uncle Eugene has been sick for quite a long time, He is no longer suffering. There is no doubt in my mind that He is anywhere else other than with God and His Family. Love you and rest in peace. I'm so sorry for your loss Ginny! It's always hard to lose someone you love. The memories are what you have and always will have.